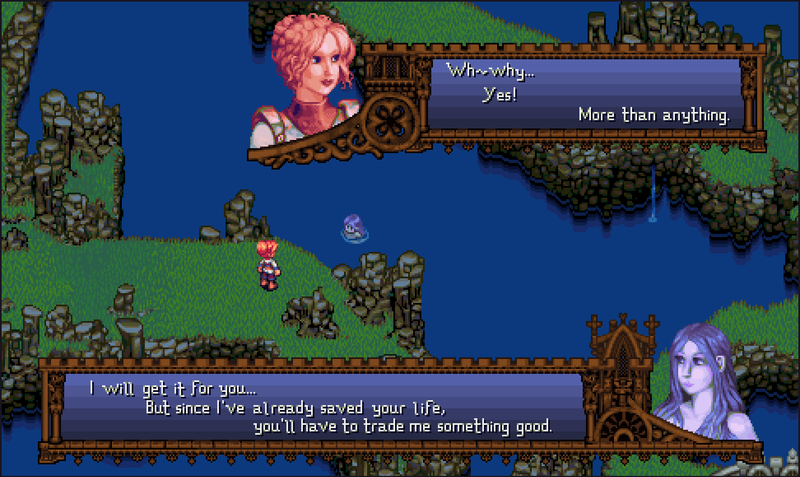 A scene where a mermaid helps Erde get an underwater treasure. 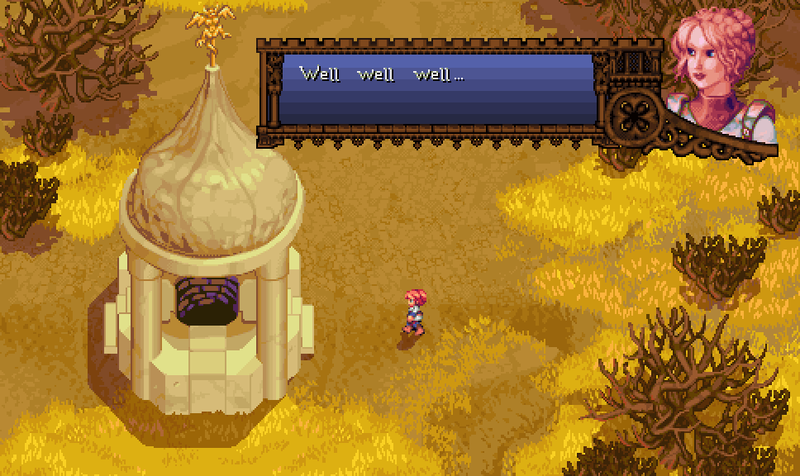 A scene where Erde finds an entrance to the underground cistern. 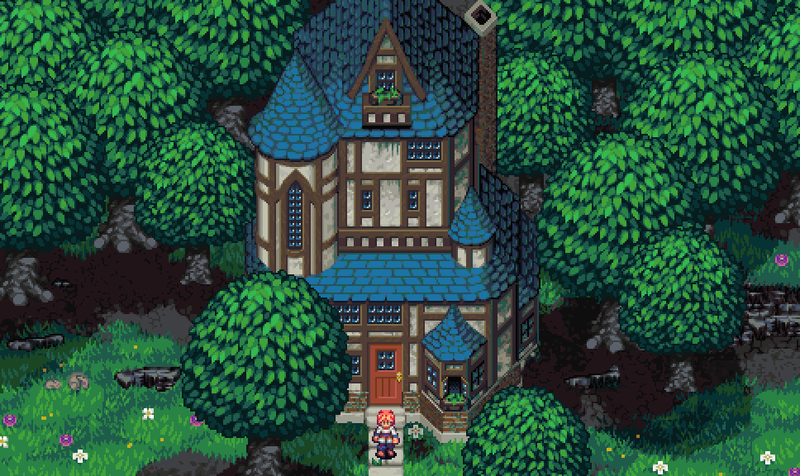 A house in the town of Sirande.